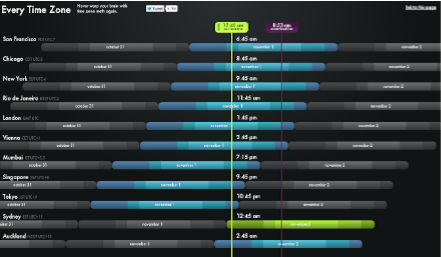 Do you regularly search for time zone converters online? It seems there are so many to choose from. I’ve never been loyal to any of them, because they never worked how I wanted, until @lukemoulton put me onto this site. EveryTimeZone.com. Bookmark it now, and have a play, it’s really useful. Power tip: There’s also a really handy permalink at the top right corner that says “link to this page” which allows you to send a link to someone with the time you’ve selected already shown.